The UPV: a leading institution. 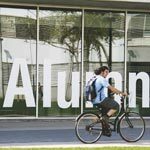 The Universitat Politècnica de València is ranked first in the world among Spanish technological university, according to the Academic Ranking of World Universities (ARWU), also known as Shanghai Ranking. Which is popular among students. 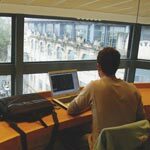 If they had to start over, 93% of our graduates would return to study at the Universitat Politècnica de València. Because studying at the UPV is an accessible goal. 89% percent of our graduate students pass their exams on the first attempt. And also because it offers degrees in high demand. 34% of UPV students already have a job by the time they collect the degree certificate. And this is largely due to paid in-company work experiences. On three fully equipped campuses. 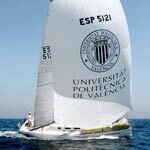 The UPV has campuses in the cities of Valencia, Alcoi and Gandia, with modern facilities and excellent services. All three share the same philosophy that made the UPV a benchmark university and they offer identical opportunities to students. The UPV has groups in Spanish, Valencian and English. You will be able to study in Spanish or Valencian. And take more than 400 subjects in English. In addition, you can apply for a High Academic Performance (ARA) group, where English is the main language in the classroom. We take care of new students. The UPV favours the integration of new students. Teaching staff and students will be by your side so that you feel at home during your first year. We help you get settled. 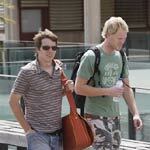 The UPV website has over 500 shared flats offers in Valencia, Alcoi and Gandia and 1,700 places in student residences. The accommodation price range is more affordable than in cities like Zaragoza, Albacete or Cartagena. And it costs almost half that in Madrid or Barcelona. You can apply for a grant. The Ministry of Education grants major general and residence grants if you are not a local. And the UPV also offers grants so that anyone is able to study despite any financial issues. The UPV offers more than 1,800 courses a year, so that students can arrange their curriculum as they wish. Besides, English, French, German, and Italian are taught. Not only in Europe but also in the United States, Canada, Australia, Latin America, Japan and Southeast Asia. Come and spend a semester abroad: you will learn another language, get to experience a different culture and live a unique experience. We have state-of-the-art computer equipment. The UPV offers free access computer rooms in all schools and faculties; wifi technology in its three campuses, both in buildings and in gardens and outdoor areas, and a dedicated email account from day one. And with some outstanding sports facilities. With professional sports staff. 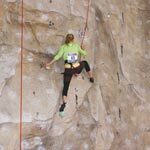 You can practice up to 70 different activities: mountaineering, fencing, climbing, aikido, capoeira, cycling, yoga, rugby, swimming, beach volleyball, athletics, paddle tennis, Valencian pilota, etc. You will enjoy cultural activities. Enjoy the Student Recreation Centre. 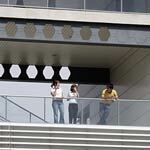 A 5.200 m2 building for students. With long opening hours, it has wifi, classrooms for courses, computer rooms, study and teamwork areas, a photography laboratory. And combine your studies with part-time jobs. The Servipoli Foundation of the UPV helps you find part-time jobs on or off campus that are compatible with your studies. So you can earn extra money without giving up any lectures. 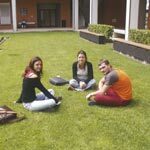 The UPV is one of the universities preferred by Erasmus students. Every year hundreds of overseas students choose us. Due to our academic level, and also thanks to our Mediterranean lifestyle: sunny summers and mild winters, great atmosphere and nightlife. It offers four degrees certified by American agency ABET, which certifies their equivalence to master's studies taught in the United States in their respective fields. The UPV offers 19 degrees with the EUR-ACE quality label and 4 other degrees with the EURO-INF quality label, which certify that the degree programmes meet the professional requirements in the fields of engineering and information technology, respectively. 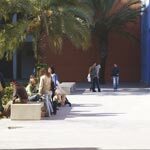 The campuses of Alcoi and Gandia offer personalised teaching. The number of students per group is lower than in other public universities. You will have a more personalised academic service that, in short, will translate as greater success in your degree. A formula supported by 150 years of history. 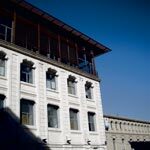 Alcoi has been training engineers for 150 years in three historic buildings of the industrial revolution, which have been completely restored. It is Spain's second public centre with the most experience in teaching engineering degrees. You will have access to modern facilities and services. We have a magnificent campus in the city of Valencia. The Vera campus expands over 700,000 m2 of land (around 70 football fields) and is almost 2 km in length from one point to another. 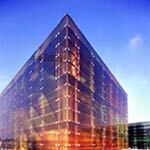 It is fully walkable and has more than 106,000 m2 of green areas. 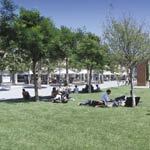 You will find cafes and terraces, kiosks, bank services and some shops that make university life much more comfortable. Valencia, Alcoi and Gandia are connected to multiple destinations. You can travel to and from your city as often as you wish. Valencia is very well connected by land (trains and buses), sea (ferries with the Balearic Islands) and air (low cost airlines). Alcoi is located at 40 km from Alicante airport and Gandia has a commuter train. Getting around is fast and cheap. 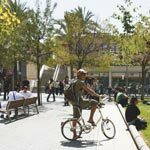 The UPV encourages the use of bicycles and public transport. In Valencia both the underground and the bus lines offer ample services, schedules and travel bonuses. Alcoi is ideal to walk around and in Gandia students are given a free bus card. Join us to study what you really want. Learn to be independent and stand on your own. Prove that you can do it. You will find that it is very rewarding..